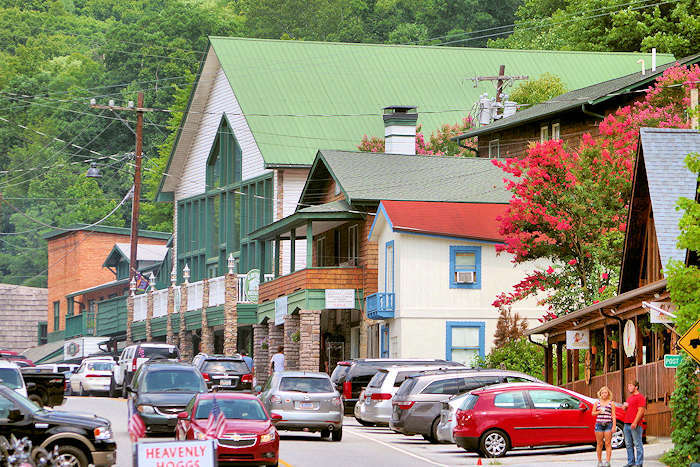 This tiny mountain town (population around 109 people) offers an authentic trip back in time, making it one of the coolest small towns in the NC mountains. With its "western town" look, most of the buildings date to the 20s and 30s when the town quickly became a favorite tourist spot after the opening of the mountaintop attraction. You won't find chain stores, restaurants or hotels here. Many of the locally-owned businesses have been around for decades. 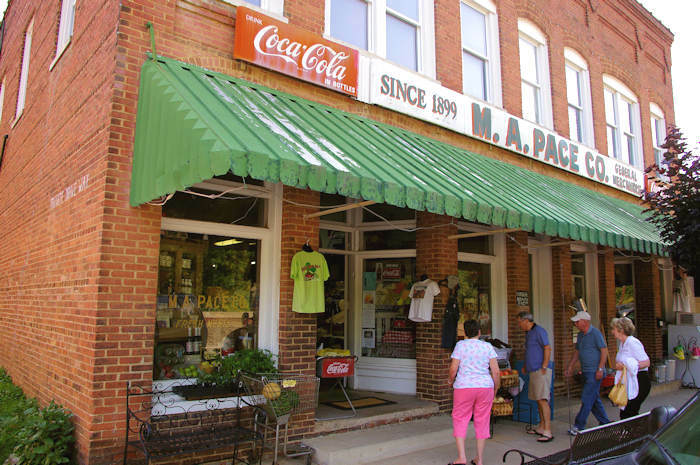 Located in the valley beneath its namesake granite monolith at Chimney Rock State Park, Main Street is packed with a variety of shops, restaurants, ice cream stands, gem mining, old time photo studio and vintage motels. 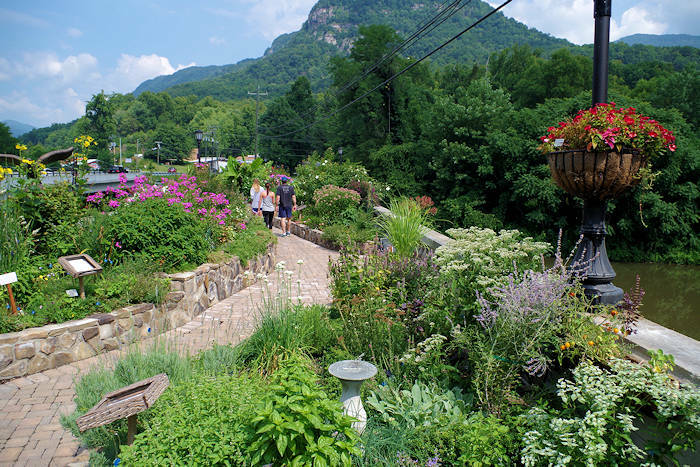 While walking through the town, don't forget to look up at the amazing views of the mountainsides of the Hickory Nut Gorge that tower on each side. 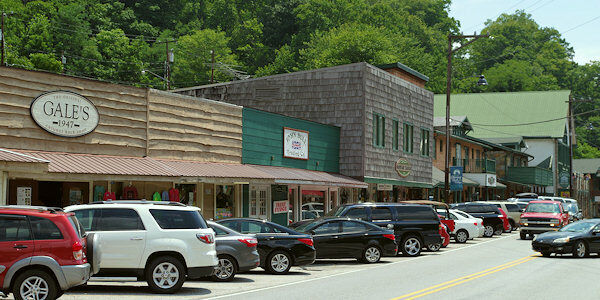 Also, walk the boardwalk behind the main street shops along the Rocky Broad River that flows into neighboring Lake Lure. Find events and live music many times throughout the year at The Gathering Place (pic), located on a plateau above the town with spectacular view of Chimney Rock mountain. 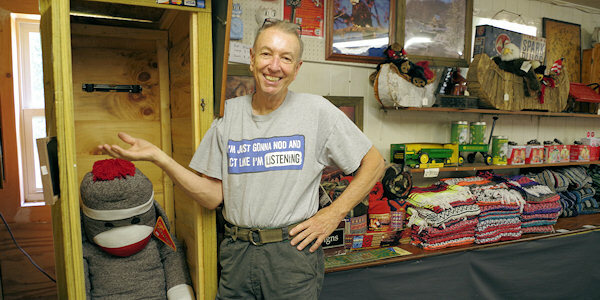 For the most unique gifts and quirky items on the street, stop by Gale's Shop (418 Main Street), a fixture since 1947. Steve Gale grew up in the store that his parents opened. His wit and great sense of humor is reflected in many of the items you'll see. Many of the items you'll probably never see again! Bubba O'Leary's General Store (385 Main Street) is favorite browsing stop with a big variety of top notch home goods, souvenirs, collectibles, jams and leading brands of outdoor clothing. At Doug Bowman Galleries (188 Main Street), find handcrafted rustic home décor from the Appalachian Mountains on Fridays & Saturdays. 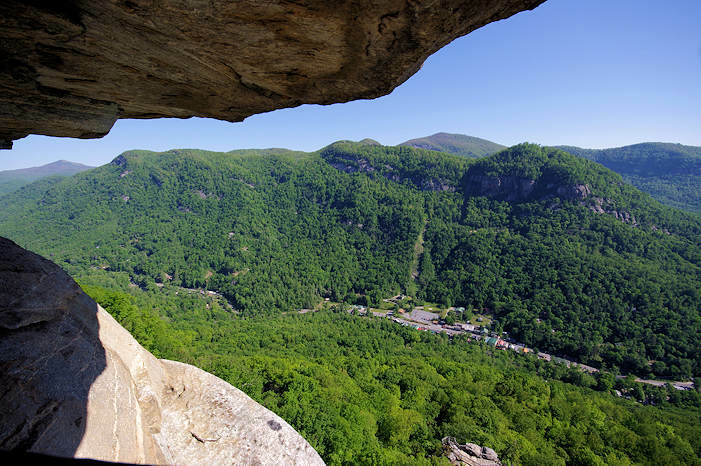 Look up from the village at the cliffs of the gorge and Hickory Nut Falls. 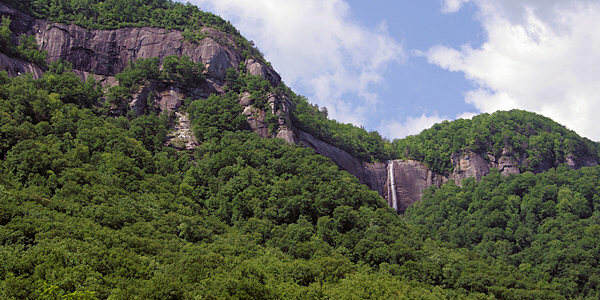 You can hike to the base of the 404-foot waterfall inside Chimney Rock Park. Another great hike (free access) is the Rumbling Bald Trail about 2 miles from the center of the village. 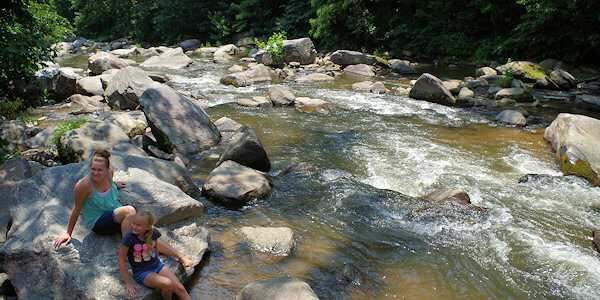 The Rocky Broad Riverwalk behind the shops on Main Street follows the river with bridges and plenty of rocks to climb. Several restaurants have outdoor dining by the river, including the Old Rock Cafe, operated by Chimney Rock Park. See our other favorite mountain small towns. 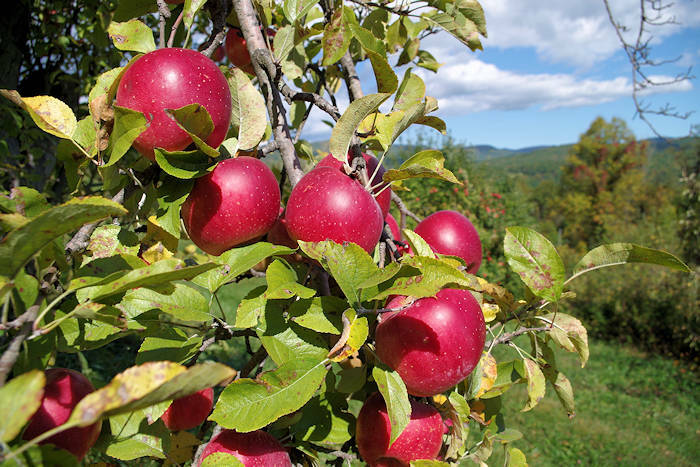 And read more about Hickory Nut Gorge. Directions: Chimney Rock is located 25 miles from downtown Asheville. Follow I-240 East to Exit #9, Highway 74A East to Bat Cave. Take 74A & Highway 64 to Chimney Rock Village. It's 17 miles east of Hendersonville via U.S. Highway 64. Continue a few miles to Lake Lure.